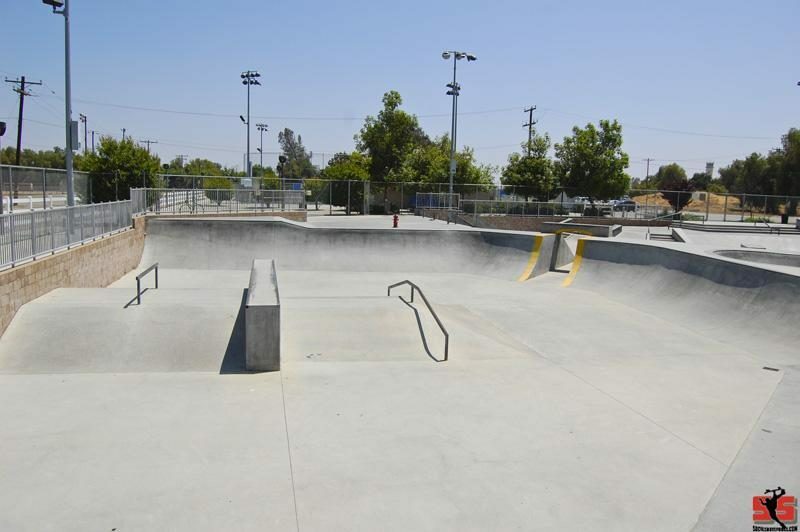 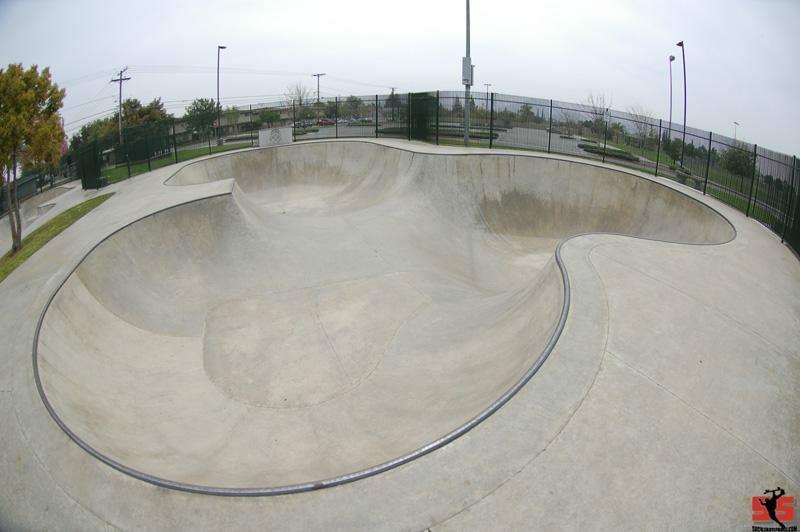 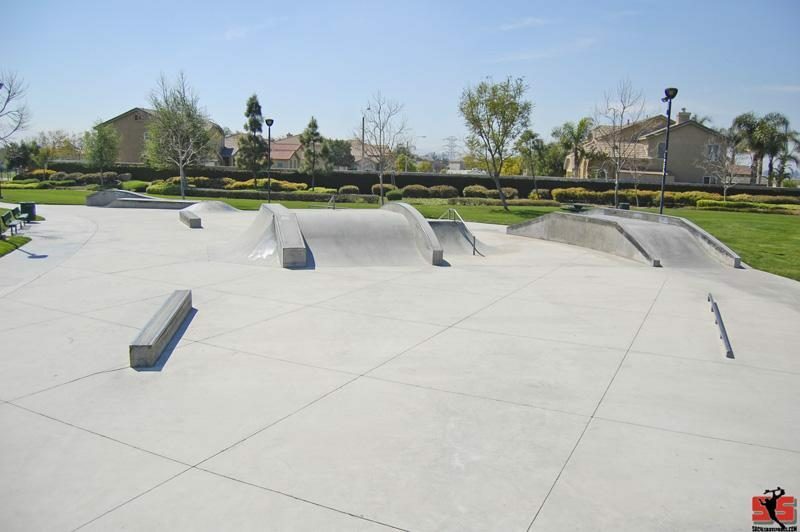 The Fontana II skatepark is located in the new Fontana Park and features a street course, Peanut Pool, Roman Pool and a flow run. 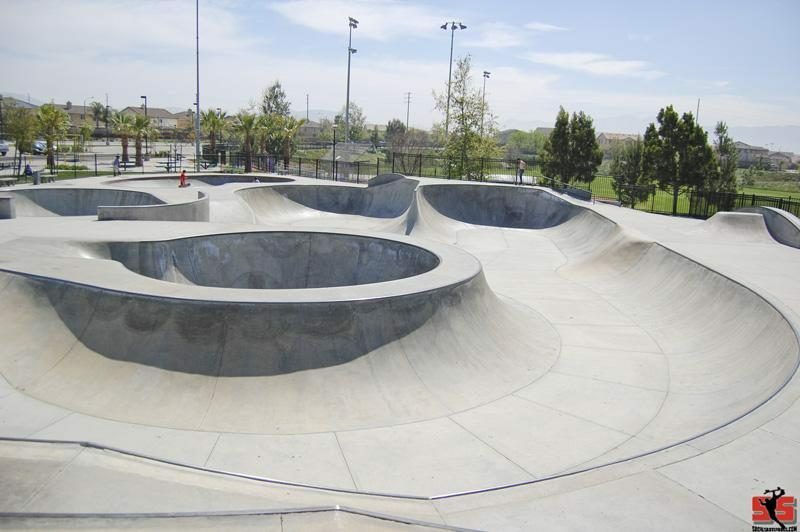 What is nice about the skatepark is ..
One of the best skateparks in the Inland Empire area. 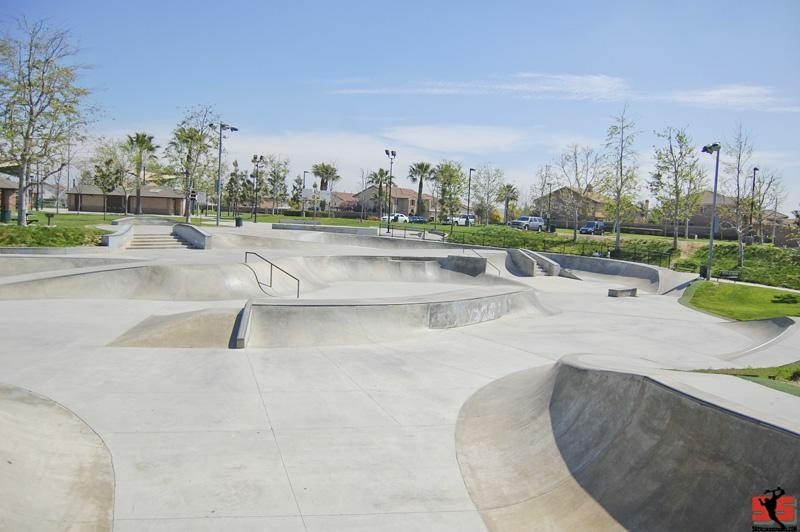 Managed and supervised by Action Park Alliance park features include lessons,camps,clinics,contests,demos,Skate shop and concessions. 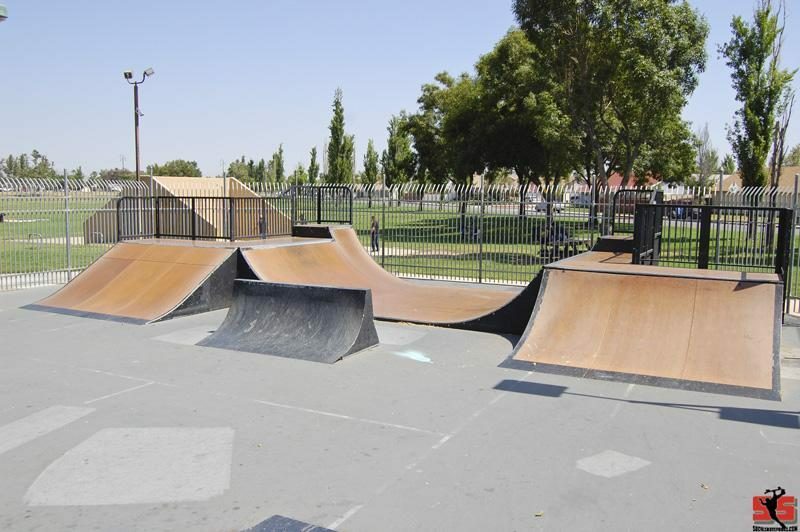 Not a great skatepark but with a little creativity it can be fun. 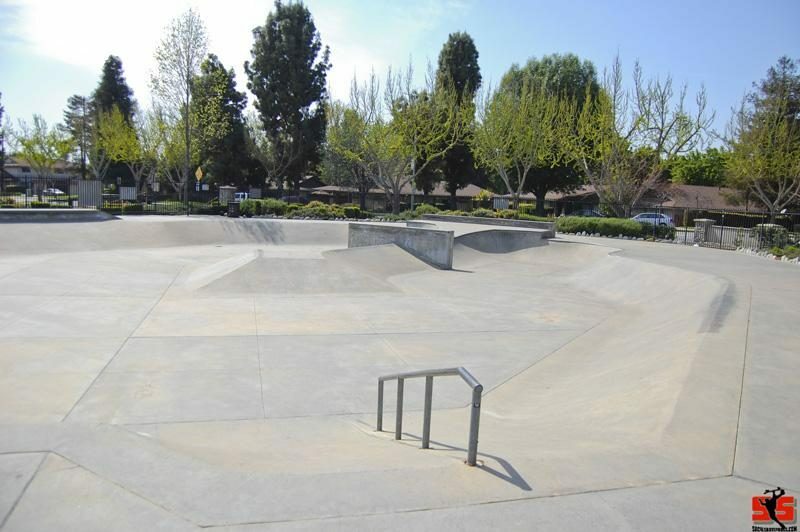 The Montclair Skatepark is a relatively small skatepark but is a great park for both beginners and advanced skateboarders. 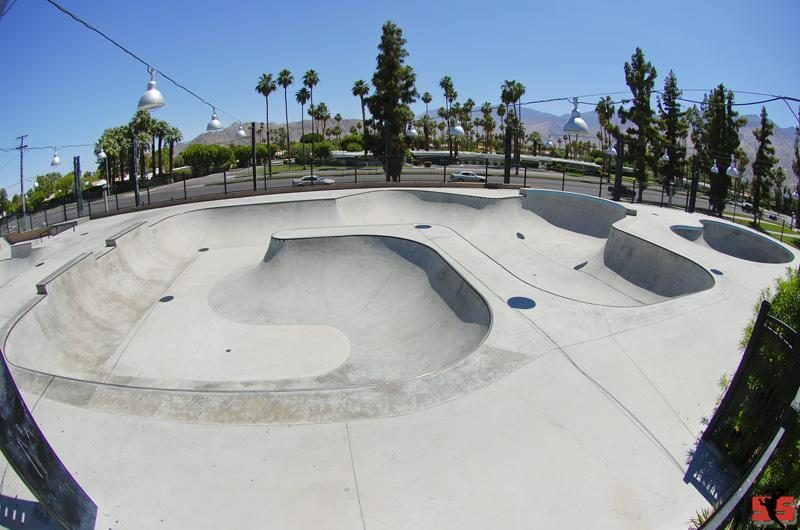 The Palm Springs Skateboard Park rules the street and vert. 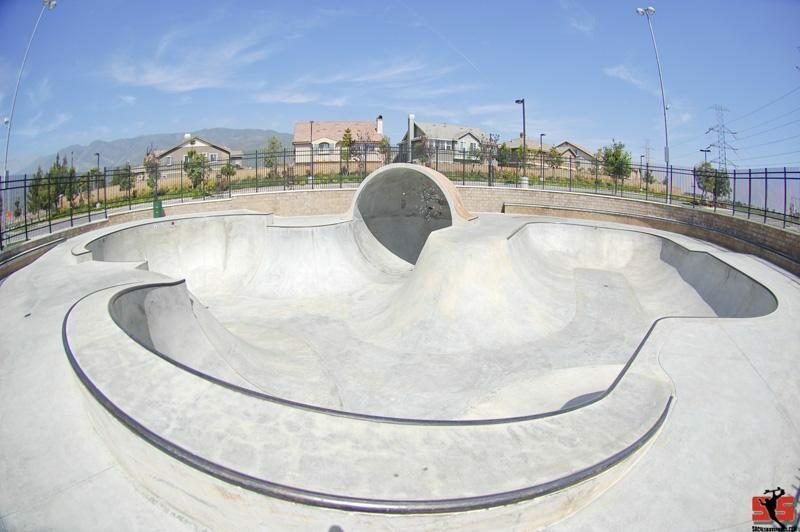 The city of Palm Springs and all involved with this project should be very stoked on the results of their efforts.